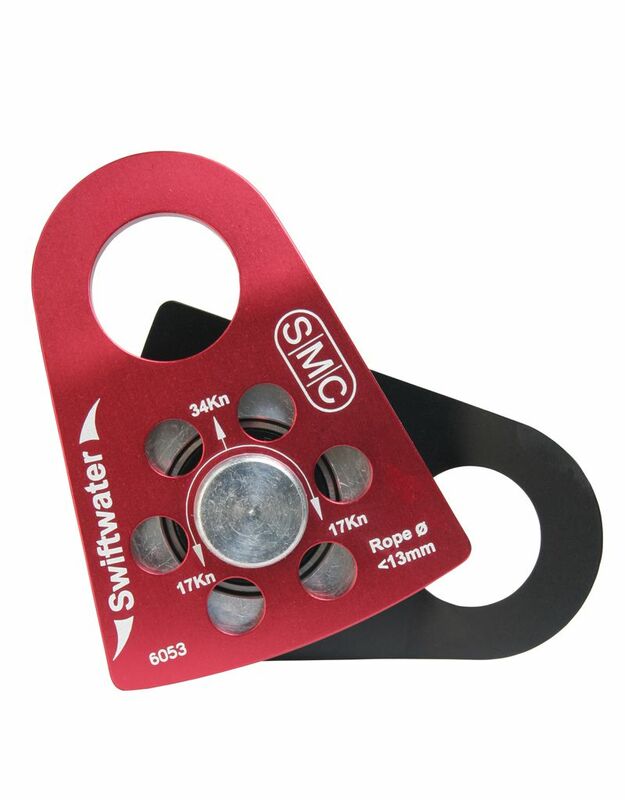 In recognition of the unique requirements found in Swiftwater Rescue, SMC has created an entirely new pulley for 2005. This aluminum pulley weighs 6 oz. and features a 2" sheave. 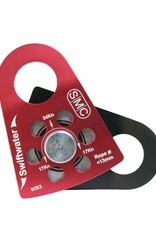 The anodized aluminum sideplates feature a series of holes which help to minimize the hydroplaning effect that might otherwise occur with a typical pulley. Sideplates are also configured to allow this pulley to work as a Prusik Minding Pulley. Sealed Ball Bearings provide optimal efficiency. Pulley Strength: 34 kN = 7644 lbs.